BOOK REVIEW: Marta Dyczok and Oxana Golutvina (eds.) (2009). 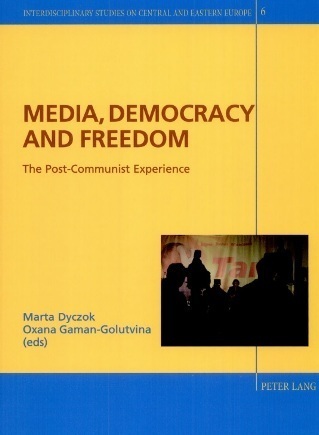 Media, Democracy and Reform: The Post-Communism Experience: (Interdisciplinary Studies on Central and Eastern Europe 6). Bern: Peter Lang, pp. 246, ISBN 978-3-0343-0311-8 pb.